Quaint restaurant - we sat outside but inside would have been a better choice. Food was OK - I went for authentic Dutch. Staff were friendly and made you feel welcome. Very quaint and homey feel. God was traditional Dutch / German. Had the kale and sausage bowl and the wife had the scheinzel and we shared because it was so good. 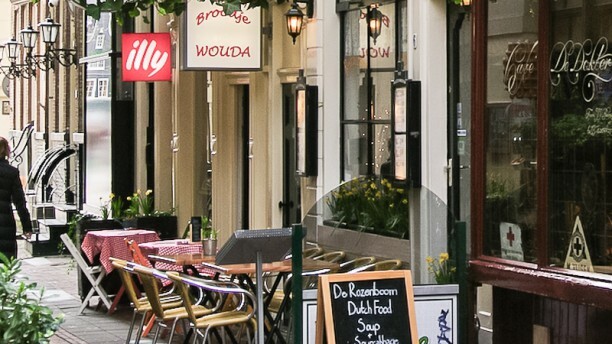 Really good food, and excellent position in the center of Amsterdam.